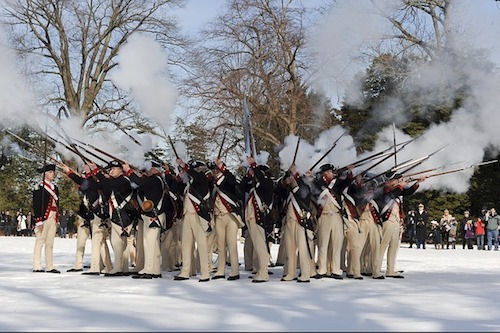 We explain the actions of the British that angered the American colonies, leading to the Revolutionary War and the Declaration of Independence. 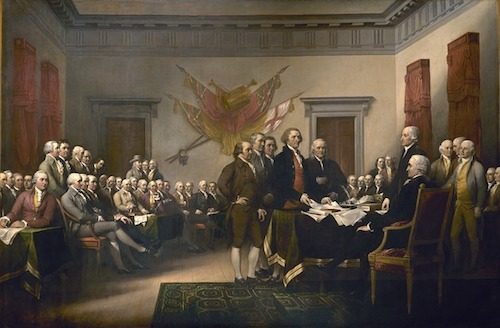 Many people think that the Declaration of Independence launched the American Revolutionary War, initiating open conflict between the two countries. But, in fact, the two sides were already in open war before the Declaration of Independence was ever written. For years, relations between Great Britain and the colonies in North America had been deteriorating. The colonies considered themselves loyal to the British crown, and people with the rights of citizenship in the British Empire, but the British Parliament seemed to feel differently. In response to the Stamp Act, several American colonies sent elected representatives to meet in New York City to create a united response and appeal to the King and to Parliament. This Stamp Act Congress in 1765 was the first instance of the 13 colonies using elected representatives to act on behalf of all of them, and was an early example of how the government of the United States would be formed more than a decade later. In response to the complaints of the American colonists, Parliament argued that they did not need representation in there, because they were “virtually represented.” In response, many colonists questioned the very idea of representation in Parliament, and instead began to wonder whether Parliament had any jurisdiction in the colonies at all. The following years would be marked by a series of increasingly stringent taxes imposed by Britain, followed by increasingly forceful protests from the colonists, followed by forceful military interventions from Britain, followed by more taxes on Americans to pay for the military, in a cycle of increasing animosity and worsening relations. The most famous of these protests was the Boston Tea Party, in response to the Tea Act of 1773. In response, in 1774, Parliament passed the Coercive Acts, intended to deprive the colonies of autonomy and punish Boston in particular by closing it to commerce. This led to increasing protests throughout all the colonies, and the conflict escalated into full war near Boston in 1775. So, if the American colonies were already in the midst of a revolutionary war, why did they write the Declaration of Independence? The answer is because the American War of Independence didn’t start out that way; it started out as protests. For years, the colonists wanted to change the government, not overthrow it. They had been petitioning the king and Parliament for better laws and better representation, through the Stamp Act Congress, and the First and Second Continental congresses. It wasn’t until early 1776 that the colonists began to lose hope that the king would ever act in their favor. At the beginning of 1776, Thomas Paine published the pamphlet “Common Sense,” arguing for independence and posing the existence of a uniquely American political identity. Paine’s ideas became even more persuasive the following month, when Parliament passed the Prohibitory Act, blockading American ports and declaring American ships to be enemy vessels. The colonists realized that there was going to be no peaceful resolution, and that individual colonies were too weak to go to war with the British Empire. But they had no authority or unified body to act as a government on their behalf. They wanted to declare war, but didn’t have a united government that could issue such a declaration. 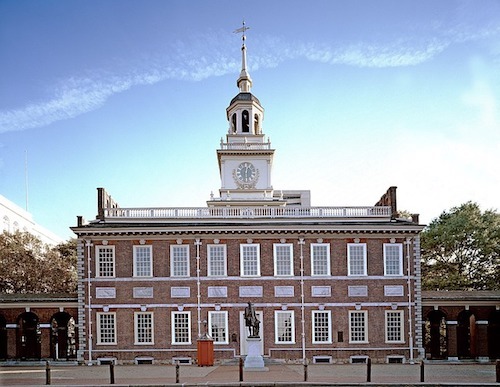 After the Declaration was approved by the Congress on July 4, 1776, it was rushed to a nearby print shop where 200 copies were made overnight. These copies were distributed throughout the colonies, read aloud in public squares, and George Washington had it read to his armies on July 9. By mid-August, it was being published in British newspapers, and was translated and spread throughout Europe in the subsequent months. 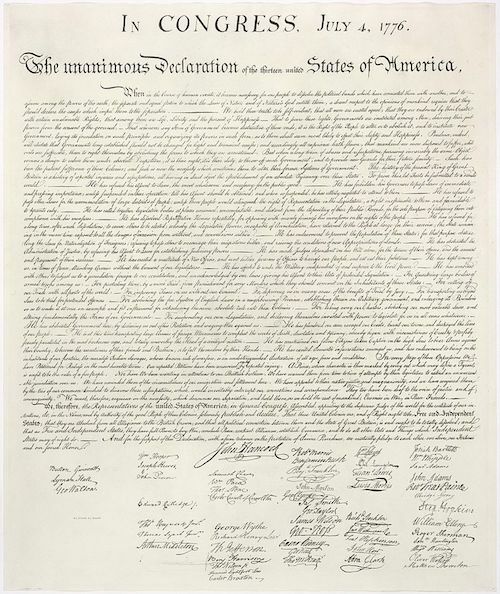 Ultimately, the Declaration of Independence formalized and distributed a number of crucial enlightenment ideals that would become central to the European revolutions to follow: that governments exist to serve the people, and that governments that impede the natural rights of citizens should be overthrown. Originally, the act of becoming independent was what was important about the role of the document in American history, and the text itself wasn’t considered very significant. 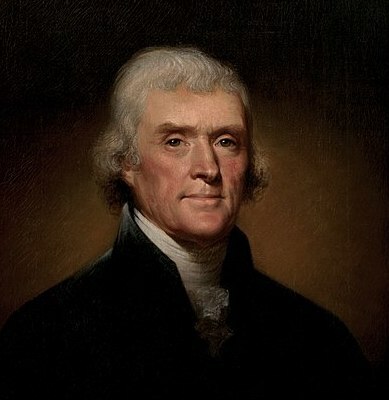 However, the specific verbiage that declares that “all men are created equal” led to the freeing of many slaves in the northern states in the period immediately after the declaration was signed, and would become crucial nearly a hundred years later, during the abolition of slavery in the United States. Be sure to follow us on social media to see more history articles like this. We are active on GooglePlus, Twitter, and especially Facebook. Just click the icons on the right of the page. If you enjoyed this article then don’t miss our piece on The Great Wall of China. We’ve also got an amazing post on bees.